Dr. Perez – or “Dr P” as she is referred to by the staff- is a native a Puerto Rico who attended college at Kansas State University and Veterinary School at Cornell University. 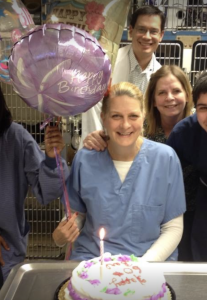 She has worked at West Orange Animal Hospital since 1989 – initially as an employee and presently as co-owner after purchasing the practice with her husband, Dr. Bruno, in 2002. Her area of interest and expertise is surgery – with skills that have been enhanced by significant training and continuing education in the latest surgical techniques. When not working, Dr P enjoys skiing,water skiing, gardening and spending time with her 3 children and is very excited to welcome her daughter Ashleigh to the practice when she follows her footsteps and graduates Cornell College of Veterinary Medicine in 2018. Dr. Boen is a graduate of the University of Pennsylvania School of Veterinary Medicine. He has been with the West Orange Animal Hospital for over 16 years. While Dr. Boen enjoys practicing all aspects of veterinary medicine, he is especially interested in ultrasonography and likes to work up challenging cases. He realizes the strength of the human-animal bond, caring for clients’ pets as he does his own. Dr. Boen loves to spend time with his rambunctious sons, his mischievous cats, and his slightly nutty dog who means well. When time permits, he enjoys tennis, photography, writing, hiking, and canoeing. Dr Claudia Zamora was born and raised in Bogota, Colombia. She has had a life-long love of animals and as a child her life evolved around her pets and science related activities. She attended the University of La Salle, graduating with a degree in Veterinary Medicine in 2000. 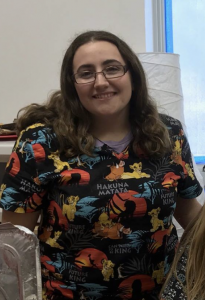 The same year, she joined the West Orange Animal Hospital family as a technician and soon after she continued to pursue her dreams and completed a clinical year program at the University of Florida. Then she completed an internship in Emergency and Critical Care at Veterinary Referral Emergency Center in Norwalk, CT in 2006. Dr Zamora mainly practiced emergency medicine for several years until she became one of our full time General Medicine doctors in 2016. Dr Zamora enjoys outdoor activities, loves traveling, running and has a passion for fashion and interior design. She loves spending time with her beloved husband, children, cats and dog. Irene, our head technician, has been employed by WOAH for almost thirteen years. She is a Board Certified Technician with almost 24 years of experience. Irene has a grown daughter, 5 Border Collies and 2 cats and tries to keep the border collies busy! Her interests include behavior training, sheepdog trials, photography and hiking and camping. Her next goal in Veterinary Medicine is to become a VTS- veterinary technician specialist- in Clinical Practice.